 International Integrators is a collaborative, global community dedicated to the promotion of Integrative Health. Our community includes medical doctors, experts in food, cooking and nutrition, movement instructors, practitioners of mind/body/spirit disciplines, and people from many other walks of life. We are thought leaders who contribute to the growing consciousness about the role that Integrative Health plays in bringing strength, power and balance to the lives of individuals throughout the world. Our blog and other forums invite discussion of issues and ideas. Our Living Whole immersion retreats offer facilitated learning about food, movement and disciplines that unite the mind, body and spirit. We match Integrative Health projects in need of support with resources of money, expertise and hands-on help. The International Integrators community is open to all with an interest in Integrative Health. If you would like to become involved, please send an email to info@internationalintegrators.org. Also, please sign up for our email list.